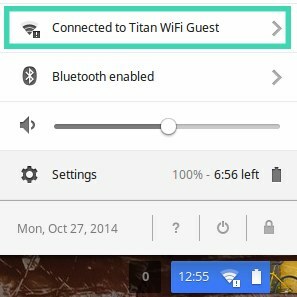 How to connect your Chromebook to Titan WiFi or Eduroam. 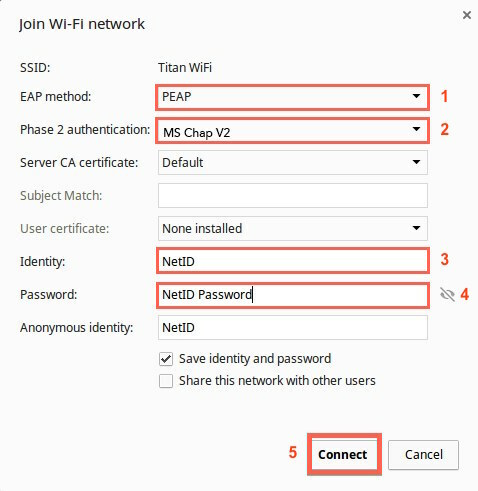 Then select Titan WiFi or Eduroam (not Titan WiFi Guest). Fill out the form exactly as it is shown below, replacing NetID and NetID Password with your own information. 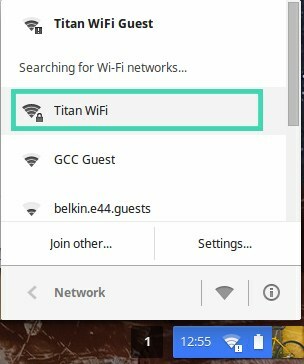 You should now be connected to Titan WiFi or Eduroam.